Eugene J. Draganosky, President & CEO, joined York Traditions Bank in 2008 and has over 33 years of banking and leadership experience. Prior to his promotion to CEO in January 2017 and President in April 2015, Gene’s roles for the Bank included Chief Community Banking Officer, Chief Lending Officer, and Chief Credit Officer. His previous industry service included Regional President, York/Adams Counties at Sovereign Bank; EVP of Commerce Bank, York Division; and Senior Relationship Manager at First Union. Mr. Draganosky holds a Master of Business Administration degree from Loyola College and a Bachelor of Science in Finance from LaSalle University. He serves the banking industry as a member of the PA Bankers Association Group 5 Executive Committee. 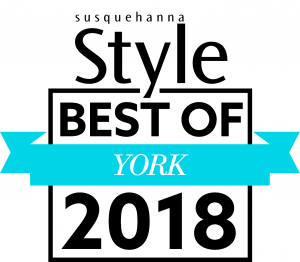 Gene’s community leadership includes Board Chair of York County Libraries, Chair-Elect of the Appell Center for the Performing Arts, and Board Member of York County Industrial Development Authority, Better York, and Graham Center for Entrepreneurial Leadership Studies at Penn State York. He is an active member of the Rotary Club of York and has held many other volunteer board and leadership positions including Junior Achievement of Central Pennsylvania and Past Chairman of the York County Chamber of Commerce. John D. Blecher, CPA, Founder, Chief Operating Officer, and Chief Financial Officer, has more than 31 years of banking experience. His expertise includes accounting and funds management, regulatory reporting, SEC compliance, taxation, shareholder relations, and budgeting. With Drovers Bank, he was Senior Vice President, Controller, and Corporate Secretary, and chaired the asset liability, technology planning, and capital investment committees. He was also Corporate Secretary and Principal Accounting Officer for Drovers Bancshares. In 2013, John was named as a Finalist (Small Private Company) in Central Penn Business Journal’s CFO of the Year awards. Mr. Blecher serves on the Board of the PA Bankers Services Corporation and is involved with the Economics Club of York. He has served on the Board of Directors, Executive Committee, and Finance Committee of DreamWrights Youth & Family Theatre. Teresa Gregory, DBA, President, Traditions Mortgage, joined York Traditions Bank in 2010. Dr. Gregory has over 30 years of experience in residential mortgage lending. Over her career, Teresa has managed many areas of mortgage lending including processing, underwriting, closing, secondary market, post-closing, and construction lending. She is a member of the American Bankers Association Mortgage Markets Committee, Pennsylvania Bankers Lending Advisory Committee, and has served on the Federal Home Loan Bank’s MPF Advisory Board. Named one of Central Pennsylvania Business Journal’s Women of Influence for 2017, Dr. Gregory is actively involved in the York Area Housing Group, serving as First Board Chair and on various committees. She also serves on the Board of York Builders Association and is a past Board member of York Benevolent and Community Progress Council. Michael E. Huson, Managing Director, Business Services, and a Charter Associate, has over 30 years of banking experience. 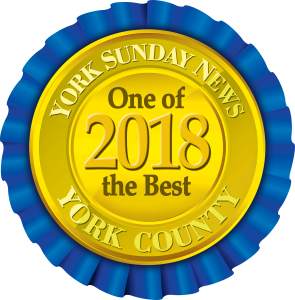 Prior to joining York Traditions Bank at inception in 2002, Mike worked at Drovers Bank for almost 14 years in various positions including Collections Manager, Credit Analyst, Vice President & Relationship Manager, and Business Services Team Leader. Mr. Huson currently serves as a Board member of Big Brothers Big Sisters of York & Adams Counties and serves as Chair of the Resource Development Committee. He also Chairs the Devin Bunner Memorial Golf Outing. Through the years, Mike has enjoyed coaching Dallastown High School Varsity Boys Basketball and Red Lion Youth Basketball and Baseball, as well as serving on the Small Enterprise Development Co. (SEDCO) and his church’s Finance and Endowment committees. J. Mark Poliski, Chief Credit Officer, joined York Traditions Bank in 2016. Mr. Poliski’s 31-year banking career originated at CoreStates Hamilton Bank where he completed their well-respected Wholesale Bank Training Program. Over the subsequent decades, Mark has served in numerous commercial loan officer and credit officer positions at CoreStates, Lebanon Valley Farmers Bank, Union National Community Bank, and Nova Bank. Prior to joining York Traditions Bank, Mark was Middle Market Regional Credit Manager at Santander. Mr. Poliski has served on the South Central PA Chapter of Risk Management Associates Board and on the PA Bankers Association Lenders Advisory Council. His community involvement includes York County Literacy Council, Compassionate Friends, and past Board Chair of Hands-On House Children’s Museum. 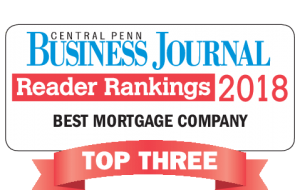 Bradley A. Willow, Managing Director, Personal & Signature Banking, (NMLS# 1375872) spent the majority of his three decades-long banking career in Central PA and has resided in York for over 15 years. He first came to the area as a management trainee at Farmers Bank and Trust in Hanover, a division of Dauphin Deposit Bank, where he progressed to the role of Regional Sales Manager. He moved to Harris Savings Bank, which became Waypoint/Sovereign/Santander Bank, as a private banking officer and later as Retail Regional Executive leading a 20-branch retail network in York and Adams Counties. In 2008, Brad joined Union Community Bank in Lancaster as Senior Vice President, Community Banking Group Manager, heading up the bank’s 13 branches as well as the training, trust, private banking, and investment advisory divisions. Most recently, Brad was a Senior Private Banking Advisor at PeoplesBank. Mr. Willow serves on the Board of the York County History Center. He is also involved with the Economics Club of York, and he volunteers with YWCA’s Walk A Mile In Her Shoes and the Cultural Alliance of York County.